Ghare And Baire Movie All Songs Lyrics: Ghore And Baire is an indian bengali romantic comedy film directed by Mainak Bhaumik and Presented by Nispal Singh under the baneer of Surinder Films. Jisshu Sengupta and Koel Mallick as the main lead role in this movie. 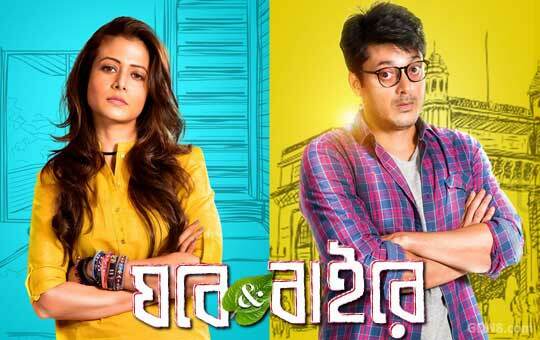 News about Ghore & Baire Bengali Movie Song Lyrics: Jishu Sengupta and Koel Mallick Both of them will be seen together in a film after a long time. Previous films name is Chore Chore Mastuto Bhai(2005), Bor Asbe Ekhuni(2008), and Love(2008), Neel Akasher Chandni(2009). Screenplay Associate by Anwoy Mukherjee and Executive Producer is Sandeep Sathi.